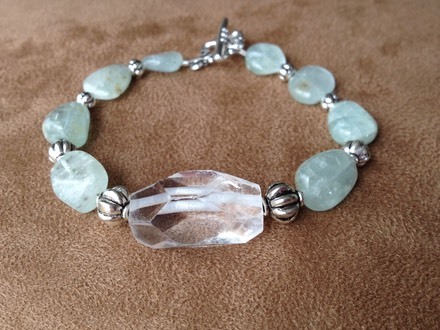 Aquamarine Gemstone with a large Crystal Quartz focal stone. (Aquamarine is March's birthstone, by the way...). 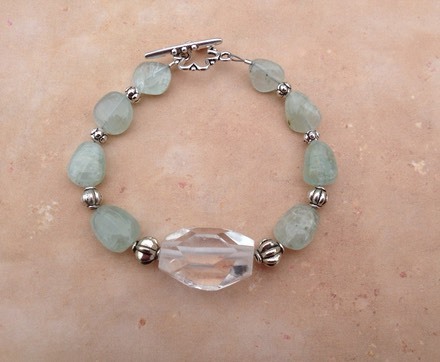 This is a 7" long bracelet with a silver-plated toggle clasp. Pewter components.